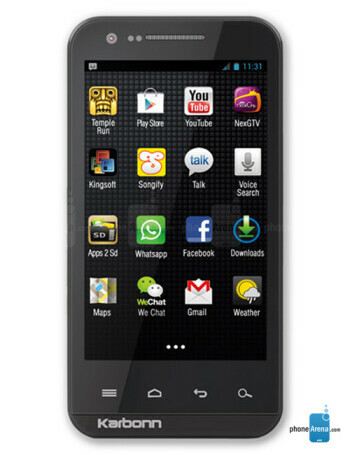 The Karbonn A11 is a dual-SIM low-end smartphone. It runs on version 4.0.4 of the Android platform, and is powered by a 1 GHz processor and 512 MB RAM. It also features 4" display, 4 GB storage, microSD slot and 5 MP main camera, along with a 1.3 front one.